Ash is falling like snow in Seattle. Flames dance along the ridges above the Columbia River Gorge. In Vancouver, where I live, a pale red sun rises each morning into a pallid, grey-brown sky. Is it some biblical apocalypse? No, it’s just late summer 2017 in the Pacific Northwest. These images, all from this past week, are the latest in a months-long saga of blazes raging across Washington, Oregon and British Columbia, the latter reeling from the worst wildfire season on record. When a fire recently sparked on Eagle Creek in the Columbia River Gorge—a National Scenic Area that’s 130 kilometres long, 1,200 metres deep and forms the boundary between Washington and Oregon states—it stranded nearly 150 people on one of the area’s popular hiking trails. With a wall of fire blocking the route back to their cars, hikers were forced to spend a night near the top of the trail, waiting for search-and-rescue teams. After being found, they escaped on a nearly 23-km detour the next morning. Meanwhile, hundreds of other hikers wound up missing huge swaths of long hikes they’d taken months to plan and save for. One hiker told news outlets he had to skip more than 100 miles of the famous Pacific Crest Trail, while others had to detour around fires in East Crater in Washington’s Gifford Pinchot National Forest portion of the Pacific Coast Trail. And that’s only one destination. This summer, fires have been shutting down outdoor destinations across the Pacific Northwest. In Washington, the government had to close parts of Mount Rainier National Park and the Okanogan-Wenatchee National Forest. In British Columbia, the closures have been even more dramatic. 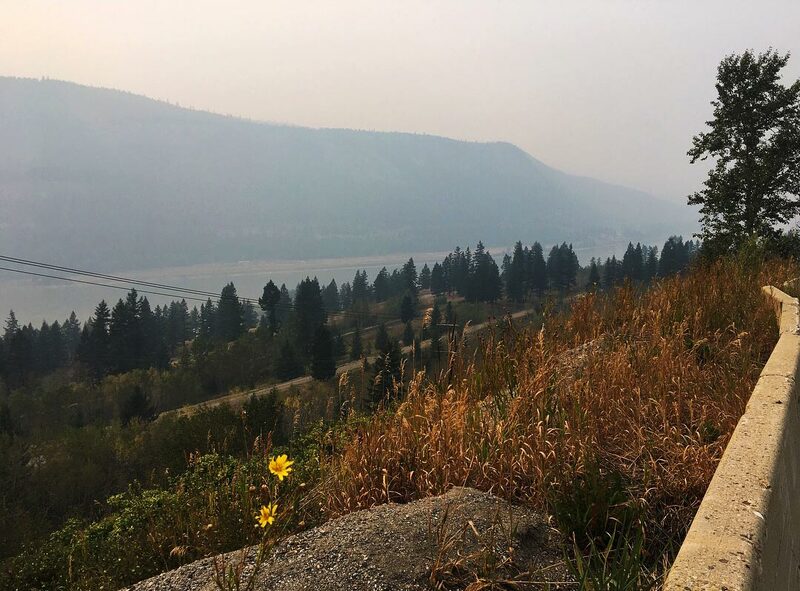 As of this week, some 40 provincial parks and protected areas in the province were closed because of “severe wildfire hazard”. In early July, that number was more than 60. And that only counts provincial areas—not national parks, regional parks or sweeping backcountry closures like the one currently in place in the Rocky Mountain Forest District. That closure, of an area that runs from Kicking Horse Mountain all the way to the U.S. border, has shut down climbing this season in the Bugaboos, one of Canada’s most iconic climbing areas . First, while forest fires are a natural part of the forest’s cycle in places like the Northwest, wildfire seasons like this aren’t. Speaking to the Edmonton Journal, Dr. Michael Flannigan, the Director of the Western Partnership for Wildland Fire Science, explained that this summer’s wildfires have been confirming what his research has forecasted for years. “With climate change, we expect more fire, then there’s more smoke and we can expect more intense fires and more smoke,” he explained, breaking down how a mix of drier conditions, earlier fire seasons and rising temperatures conspired to set up this summer’s tinder-box. Second, think about how this affects a part of the world where outdoor recreation and tourism are critical to local economies. Trips to the Pacific Coast Trail, the Bugaboos and elsewhere in the Pacific Northwest and Rocky Mountains are bucket-list destinations for thousands, if not millions of people around the world. Hikers who found their trips cut short this summer spent years planning and saving for their journeys, just like countless others who reluctantly changed or cancelled trips to the region’s hiking trails, lakes, parks and the entire backcountry. But the individual stress of having a trip derailed pales in comparison to the impact these fires are having on communities. Tens of thousands of people spent much of this summer evacuated from their homes as blazes rampaged in or around their neighbourhoods. And if that wasn’t enough, the economic blow will be significant. Many of these communities are filled with local businesses—hotels, campgrounds, guides, gas stations—that depend on bustling summer tourism. 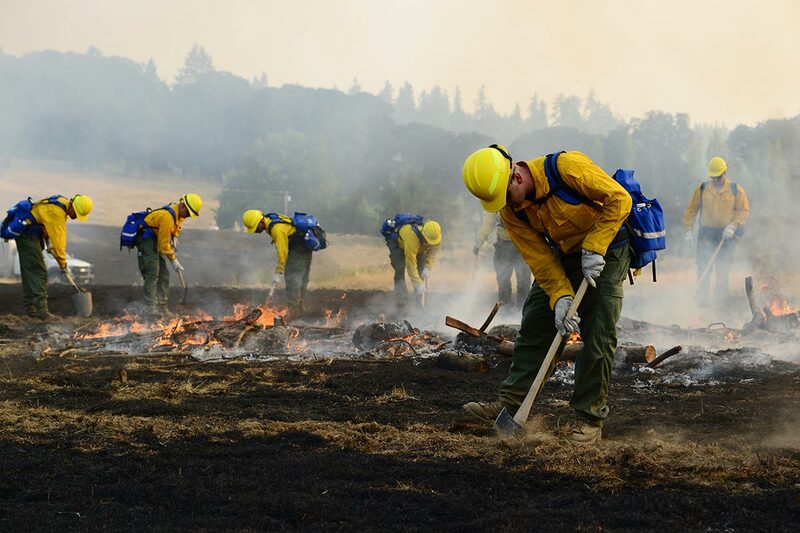 While hard data won’t be ready until later this year, anecdotal reports point to a major downturn for some of the same communities hit hardest by this summer’s wildfires. For me, this all came into focus on a long, hazy drive home from Alaska in mid-August. I’d been driving for three days straight, somewhere between Prince George and Kamloops, when I saw a sign for Timothy Lake through the pale, grey-brown smoke that hung over the highway. That trip is one of the fondest memories I have of childhood vacations with my extended family, and driving past in an endless cloud of smoke, I couldn’t help but wonder what the summer wildfires had done to that lake. Was it still the same colour? Could people still paddle, swim and fish there? Or was it now ringed by a stand of burned-out trees, ash settling on the glassy water’s surface like some kind of post-apocalyptic postcard? That’s when I remembered all the times my dad had talked about his childhood trips into that same part of B.C. I have to believe that our trip there was, at least in part, wanting to share that place, and pass along some the fond memories he had there—an “adventure inheritance” for my sister and me. I passed the turnoff for Timothy Lake and kept driving south. I don’t know if our once-upon-a-time cabin was still standing even before the fire, or how much the wildfires ravaged the area, but my realization was the same. Travel, at the end of the day, is about making memories, and we’re now living in an era where climate change has the power to raze the places our memories are built on. If that isn’t a wake-up call, I don’t know what is.